Wodonga Shire’s first president, John Woodland, was born in Kent, England, in 1829, and came to Sydney with his parents in 1839. He later went to Melbourne where he tried his hand as grocer’s assistant but preferred outdoor work. He acquired a horse team and arrived in the Wodonga district about 1853, where he created a successful carrier business, especially before the arrival of the railroad. 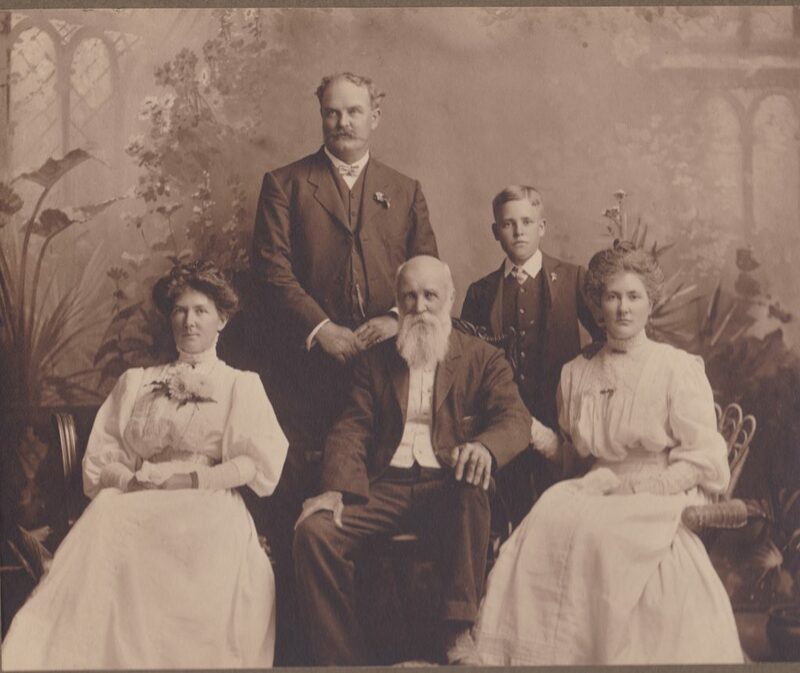 He first lived on the Old Barnawartha Estate and a few years later purchased land at Green Hills, Wodonga West, where he farmed and also ran a hotel. The hotel licence was relinquished to give attention to duties as secretary and clerk of works to Wodonga Shire, which was then the Wodonga Riding of the Shire of Yackandandah. It was reported that John walked over the hills to Yackandandah and never missed a meeting. He was a main agitator for the separation of Wodonga district from Yackandandah Shire. This was successful in 1876, and he became the first president of Wodonga Shire. He held this post for two years, then taking on the role of shire secretary in 1878 until 1913. He concurrently undertook the role of clerk of works (engineer) from 1896 to 1907. As clerk of works he prepared the plans and specifications for, and supervised the construction of, the big bridges on the Albury road and at Bonegilla and other important works. In his mid 70s), he proffered his resignation on a number of occasions but it was not accepted. Despite physical weakness and impaired vision, his mental powers were as keen as ever and he continued his duties to the end, with the help of his daughter Rose Murphy. Rose became shire secretary for 20 years after her father’s death in 1913. She took great delight in naming the triangular reserve at the corner of High and Hovell Streets, ‘Woodland Grove,’ at the opening of the band rotunda there in September 1920. Woodland Street and Woodland Creek, which ran through his Wodonga West property, are also named for John Woodland.